Are you thinking about fixing up your yard or garden? Give back to the environment as you sculpt your own aesthetically pleasing outdoor space. Learn some of the best practices for green landscaping, including tips for specific situations such as living in an urban area without a lot of yard space or growing native plants for your environment. Native plants are already used to your climate and will blend in naturally with the surrounding environment. Learn why you shouldn’t introduce invasive foreign plants to your space. Clever placement of trees and other greenery can significantly impact the cooling and heating costs of your home. These tips and tricks will help save you the most energy and money by reducing heat from the outside in. It’s best to stick with organic substances and avoid the harmful chemicals altogether. Learn how to avoid using pesticides and fertilizers. If it’s biodegradable, use it! Instead of putting your apple cores, banana peels, or avocado pits in the trash, put aside to help fertilize your yard. Change the face of your yard to reduce the amount of synthetic materials you use and eliminate the need for lawnmowers. Learn how to adapt to your land, whether it’s hilly or flat, and how to conserve water and prevent runoff. Plants native to dry environments don’t require excess attention and water. Find out your best options. You can live in the city and still maintain an outdoor oasis! Learn some of the best ways to develop a sustainable city garden. Collecting soil samples from different areas of your yard for testing is helpful when deciding what type of native plants to use. The samples will provide you with more information on the nutrient content of the soil in your yard, how to prepare it and the best plants to use. Cultivated varieties of plants are usually attractive to wildlife and can often increase the type of wildlife in your yard. However, look into the cultivar you want to use carefully and make sure its native to your area as something as simple as the color of the flowers you plant may decrease wildlife’s interest in it if it’s not the native color. While selecting plants from the wild sounds like a good idea to integrate native plants into your landscaping, it’s often not the best, as collecting plants from their natural habitats aids in the destruction of their environment. It also increases the chances of planting failure. A few key things to keep in mind when putting in native plants is to make the planting hole 2 to 3 times as wide as the root ball while ensuring the root is level with the existing ground and not above the soil. You will also want to use the original soil when backfilling the planting hole and thoroughly water. The use of invasive foreign plants reduces biodiversity in the plants that already exist in your yard. They disrupt the land’s natural ecosystem, which has a major impact on the types of wildlife that thrive and are attracted to your space–think about the effects weeds have on your garden or lawn. Invasive plants can even impact the chemical balance of the nearby water. Additionally, they tend to require more care and upkeep, since they don’t naturally grow in the region and therefore aren’t self-sustainable– and in addition to being environmentally unsafe — they’re more trouble than they’re worth. Some examples of plants that are not native to the United States include kudzu, English ivy, yellow starthistle, and Japanese honeysuckle. These plants create a dangerous monoculture that threatens the integrity of the environment around them. The map above shows the prevalence of the Japanese honeysuckle in the Southeastern United States. It’s important to take the time to research which plants are native to your region. For more invasive plant maps, visit Invasive.org. Use trees as your barriers against the elements. The right placement of trees, shrubs, and other greenery can help save you money and maximize your yard’s eco-friendliness. In colder climates, during winter in particular, the wind can be extremely harsh. Clever placement of evergreen trees can mitigate the severity of the wind and prevent it from penetrating the weaker areas of your home’s insulation. If you live in a warm climate or you want to save money on summer cooling costs, place trees in your yard so that they provide shade to your house. The key is to pay attention to which direction your home faces and manipulate your outdoor space to block the light from reaching the windows. Placing deciduous trees along the South side of the house is the most effective way to reduce the amount of light and heat that gets in. You’ll also want to take into consideration the size of the trees you plant and where they are planted, especially as it pertains to avoiding utility lines. Best practices are to keep taller trees like maples, oaks, spruces and pine close to the home whereas medium sized trees like washington hawthorns and goldenraintrees should be 50 feet from your sidewalk. Smaller trees like redbuds, dogwoods and crabapple should be under 25 feet and planted 20 feet from your sidewalk. There are other ways to mitigate excess heat from the outside in. The colors you use—such as when painting your house—have a noticeable impact. It’s best to use light colors, ideally white, to paint and decorate as darker colors absorb heat. When looking for the right type of paint to use, it’s a good idea to check the Light Reflectance Value (LRV). White reflects 80% of the light while black only reflects 5%, so if you select a paint with a higher LRV number, you’ll need less artificial light. You can also install ponds or fountains in your yard. Even a small area of water can reduce the heat in the surrounding space. If you want to practice eco-friendly landscaping, keep your techniques as natural as possible. Eliminate the use of pesticides and treated fertilizers as much as possible, which are harmful not only to the environment, but to your health. Pesticides are intended to kill living things, so it follows that they harm more than just bugs. Chemicals affect a much wider range of wildlife than you might think. They evaporate into the air we breathe, infiltrate our soil and the water runoff eventually get dumped into lakes, streams and oceans, impacting the health of the plants and animals that live here. Pesticides aren’t easy to get rid of. You’re probably used to washing produce after buying it, but this isn’t enough to get rid of all the harmful chemicals. Pesticides are not natural, and extended exposure heightens the risk of certain types of cancer and other illnesses. Many pesticides, called endocrine disruptors, affect your natural hormone production. Long-term exposure to these chemicals can affect growth and gender-specific functions. There are many practices you can employ that reduce the amount of pesticides you use, including crop rotation and organic farming. Instead of fertilizer, use natural mulch and treated soil, which have the added benefit of reducing the amount of solid waste your yard produces, primarily from grass clippings. Mother Earth News also shares homemade recipes you can make yourself, such as mixing liquid dishwashing detergent with one cup of vegetable oil or mixing three tablespoons of dry, crushed hot pepper in ½ cup of water for a half an hour. Both options work to prevent insects on indoor and outdoor plants. Using compost is a great way to reduce the amount of harmful fertilizer you use and also the amount of waste you throw away inside the home. Instead of throwing away the unused pieces of the fruits and vegetables you eat, such as rinds, skins, and pits, collect them and use them to promote growth in your yard. 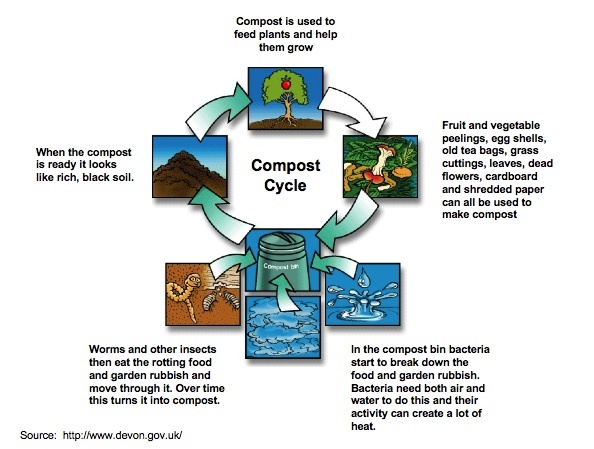 Additionally, compost actually rejuvenates the quality of soil, which can degrade as it’s exposed to foreign substances. It keeps your plants healthier and even reduces water waste. To really save energy, don’t rely so heavily on gasoline-powered lawn maintenance equipment, such as lawn mowers. Lawn mowers are more harmful to the environment than cars, so the amount of time you spend using them has a huge impact on emissions. This is where using mulch wherever possible comes in handy—reducing the size of your lawn means you’ll spend significantly less power maintaining it. Also, refrain from using synthetic materials or turf, which aren’t very absorbent and prevent water from reaching the natural ground. If you do need to maintain your lawn, consider investing in an energy-efficient mower. It might be time to toss the old machine as newer mowers tend to be the most eco-friendly. Recent regulation changes now require mowers to meet specific emission standards. You can also choose an electric mower instead. If you purchase one of these, take a look at the battery charger to see if it meets Energy Star standards. Reel mowers are the most eco-friendly, with no emissions at all. Do your part to reduce the amount of water that goes to waste by adapting to your yard’s specific needs. Don’t overwater your plants. Excess water is not only wasteful, but it causes urban flooding and picks up pollutants and hazardous materials on its way to the sea. Signs of overwatering include yellowing leaves, new and old leaves falling off at the same time and mold. If you live in a hilly or mountainous area, you can reduce the amount of runoff that escapes downhill. Install plants along slopes to catch excess water and prevent the land and below from erosion. Use mulch to keep plants in place and soak up water. Trees also have an immense impact on the amount of water that reaches the ground. If you live in a flat area, water doesn’t have anywhere to go once the ground is saturated, and flooding ensues. Try planting trees and other greenery—this greatly reduces the amount of water that reaches the earth. Manzanita–this flowering plant thrives in the West. American holly–this plant is native to portions of the Southeast, including North and Central Florida. Purple coneflower–this butterfly magnet, along with many other types of wildflowers, grows in areas such as North Carolina. Just because you live in the city doesn’t mean you can’t surround yourself with beautiful greenery. There are some great things you can do to prevent waste and pollution and spruce up your space to attract wildlife such as birds and butterflies. For example, avoid putting in a lawn. The maintenance required and the solid waste it creates in the form of grass clippings isn’t worth the effort. Instead, use plants and shrubs that don’t require much upkeep. Once you put in the initial effort, many plants are essentially sustainable, and they attract much more wildlife than a simple lawn. Because everything in the city is in such close proximity, eco-friendly habits are especially important. For example, it’s essential to not overwater your yard or garden—excess water in urban areas picks up heavy amounts of pollutants from the street on its way to the storm drain.